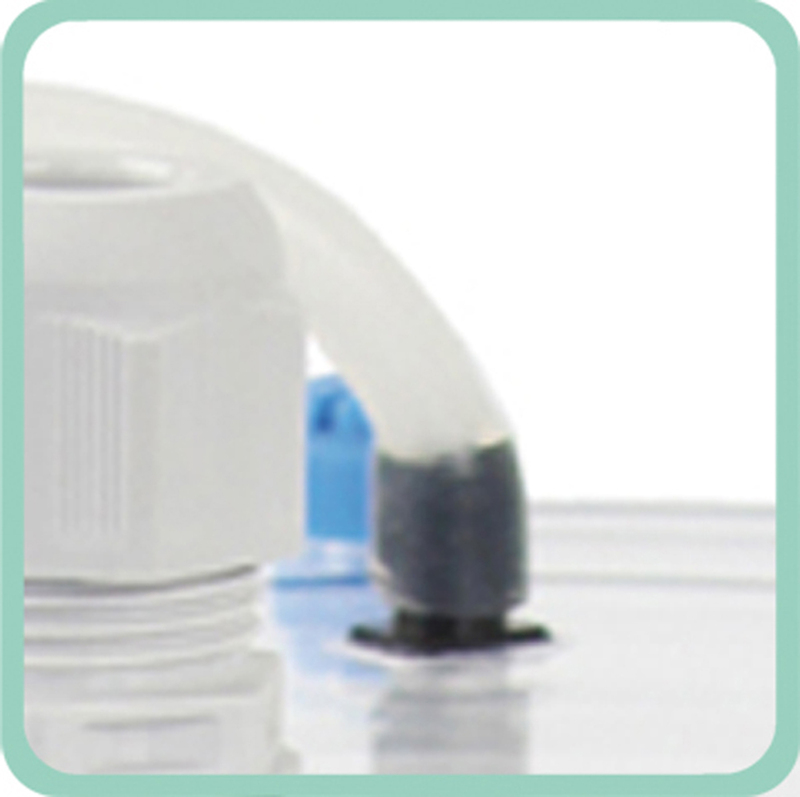 The Calcium Automat 3171 is suitable for cabinet systems and aquariums up to 1,200 liters (317 USgal.) 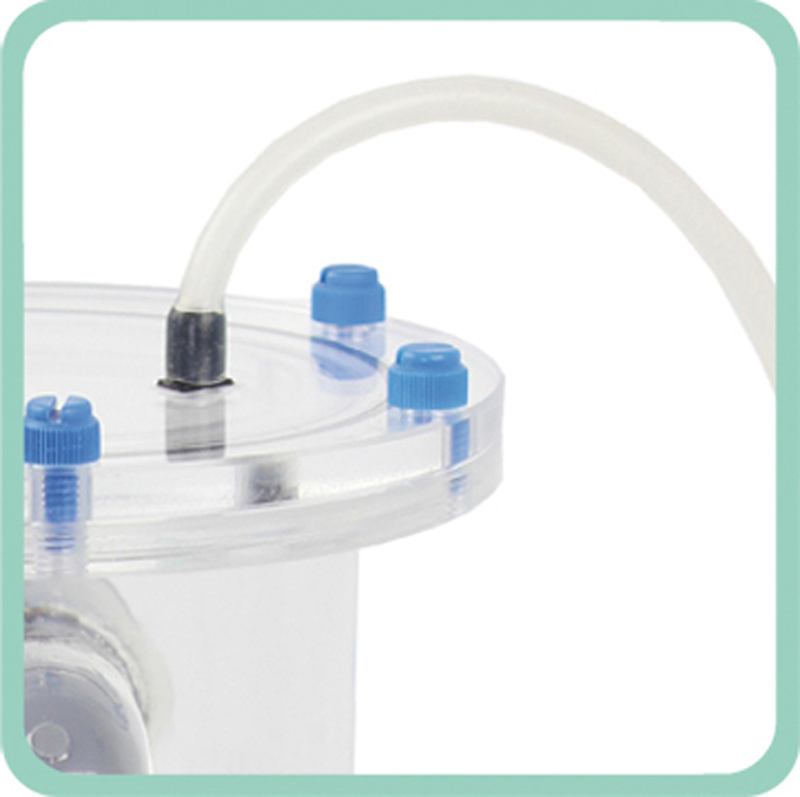 with a granulate capacity of 1.85 liters (0.4 USgal.). The Calcium Automat 3172 for cabinet systems and aquariums with 2,000 liters (528 USgal.) and more (depending on the coral population) has a granulate capacity of 10 liters (2.6 USgal.) and an especially high degree of efficiency. All models are self priming, which significantly facilitates their operational start. The water flow rate is adjusted prior to the granulate, and will thus remain very consistent over time. All devices are equipped with a reabsorption function for the undissolved gases, and therefore consume very little CO2. The models 3171 and 3172 use a cover with a wide opening, and contain a special connector for an internal pH probe. Return suction of the undissolved gases. 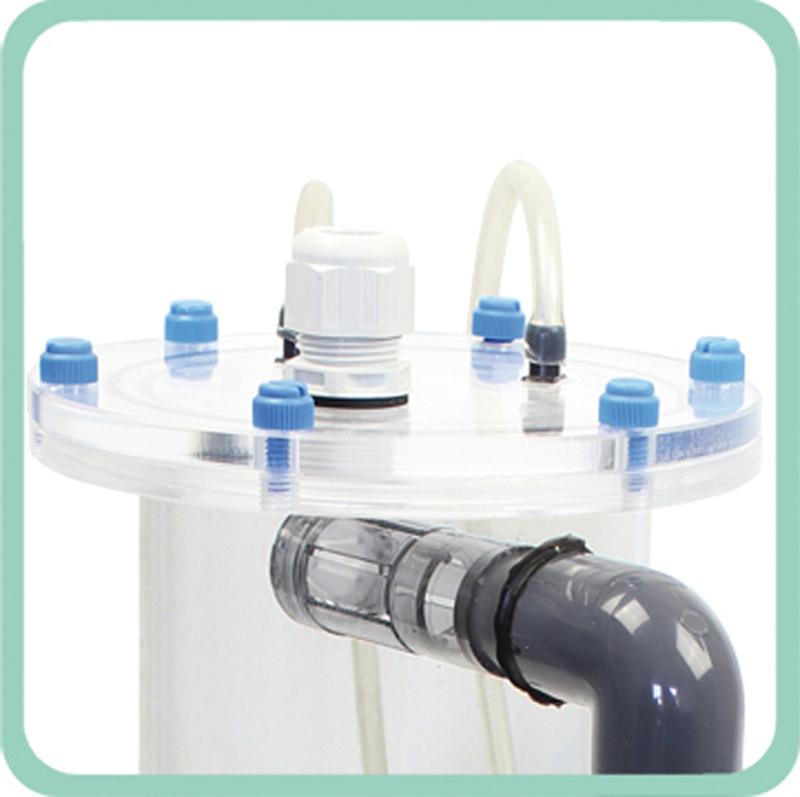 The heart of the Calcium Automat is a special calcium pump with a blending centrifuge, for a particularly high degree of efficiency and CO2 mixing. Transparent reactor with a large granulate capacity. 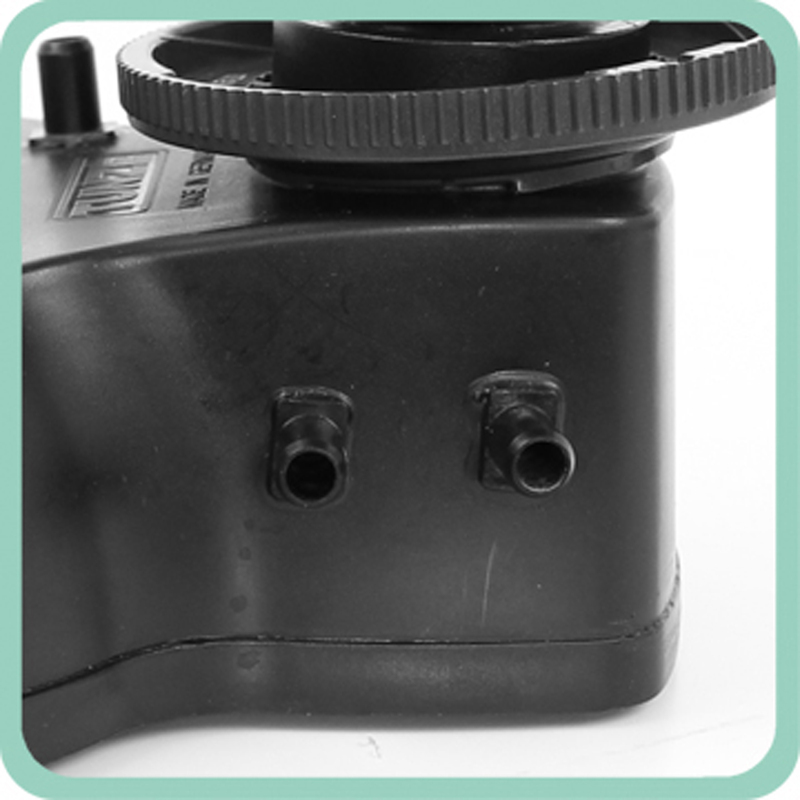 Cover with screws - wide opening for filling or cleaning. Seal for internal pH probe. Water outlet to the aquarium. External operation or in a cabinet (recommended), self-priming. The addition of lime water is another method to increase the calcium in saltwater aquariums. The calcium hydroxide is dissolved in a separate tank by means of the water jet of the metering pump in the osmotic regulator(s). The lime water is then released into the aquarium in small quantities in regular intervals. 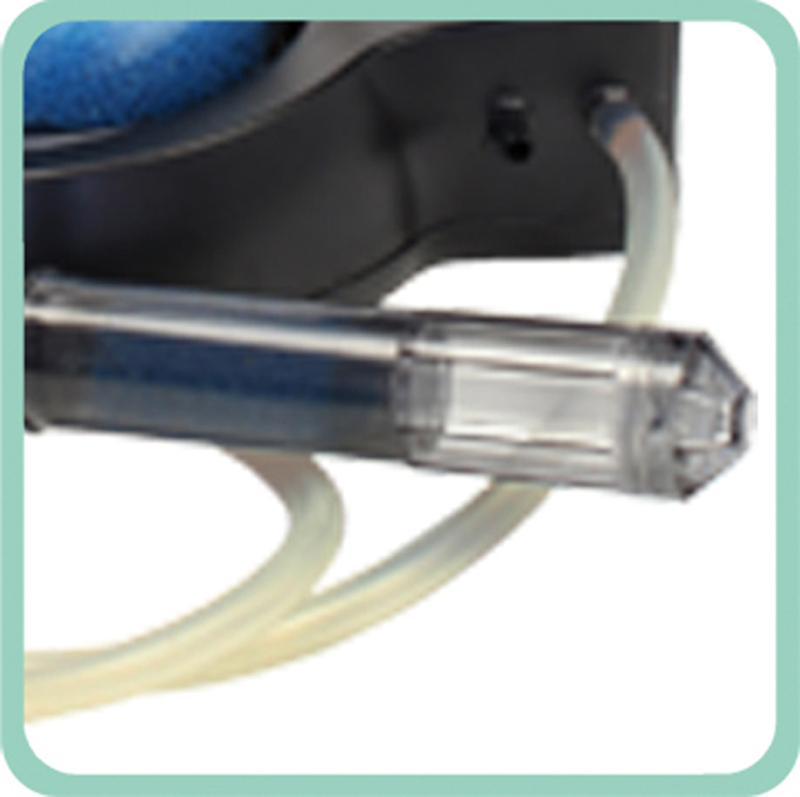 The calcium dispenser is fitted between the metering pump and the infeed hose. All TUNZE Osmolator, Osmomat and osmotic regulator sets can be used. 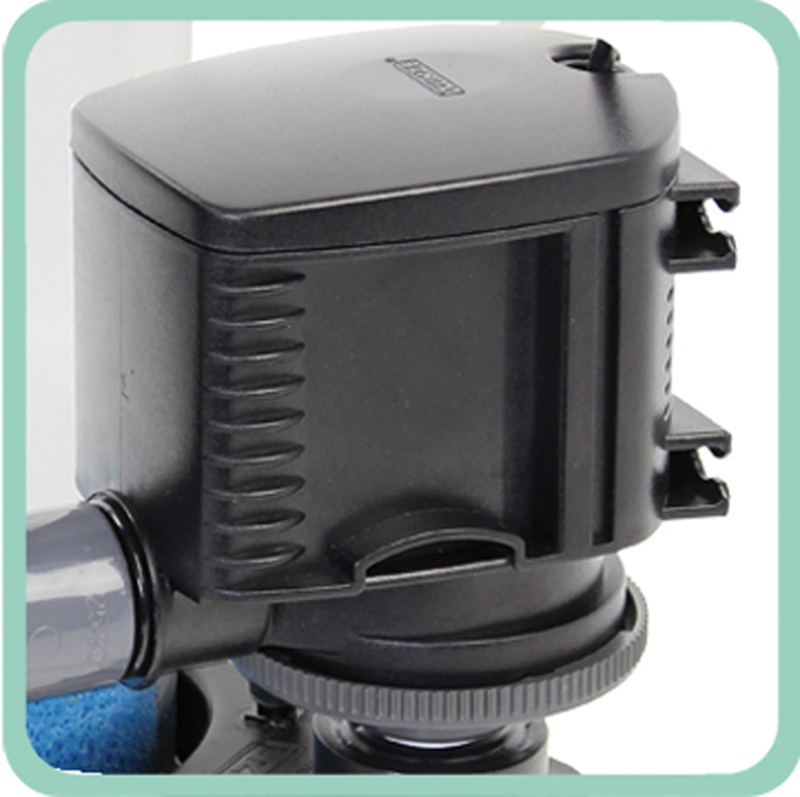 The calcium dispenser can also be installed in every water storage tank. The dispenser tank should be topped up with calcium hydroxide every one to two weeks. The calcium dispenser and the calcium automat can be combined to greater effect. An especially stable pH is achieved during the day as well as at night. An increase in performance can be achieved for a larger consumption. Delivery condition: Reactor, calcium hydroxide fill, holding device and connections to Osmolator, suitable for up to approx. 500 l aquariums with stone corals. Marine aquariums with soft corals, stone corals, snails or calcareous algae need regular additives of calcium and bicarbonate ions. In 1989, TUNZE Aquarientechnik was the first manufacturer to build a CO2 controlled calcium reactor. A pump is used to pass the water enriched with carbon dioxide through the hardness granulate. The carbon dioxide reacts with water to produce carbonic acid and dissolves the calcium carbonate. The hardened water leaves the reactor through a control valve. Today's generation of automatic calcium reactors combine high efficiency and a compact size, consisting of a reactor with pump and the Comline housing. 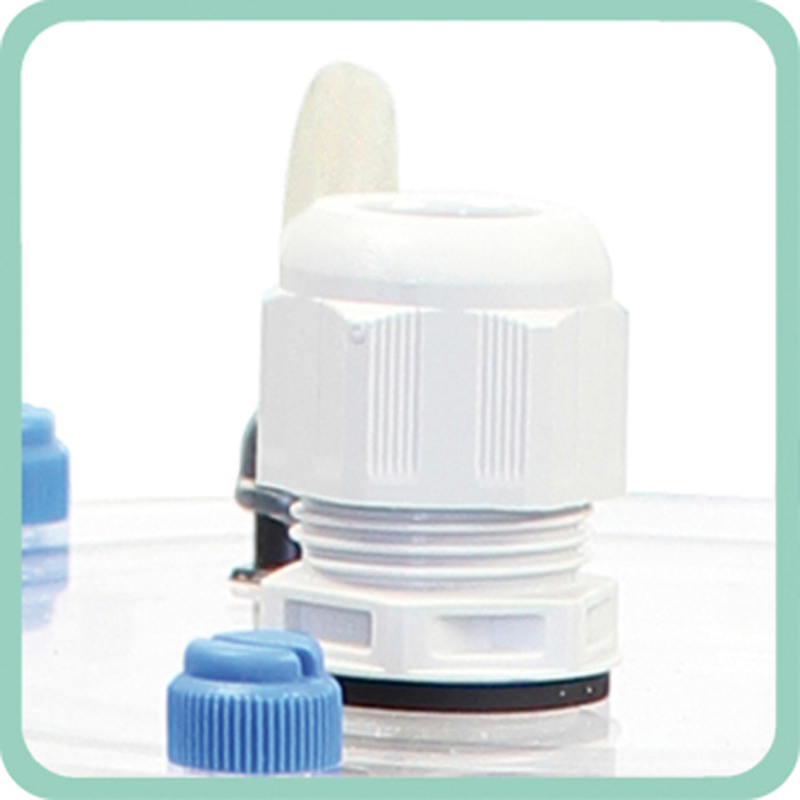 Calcium Automat 3170 needs no additional supply pump, and is operational with a minimum water level of 60 mm. 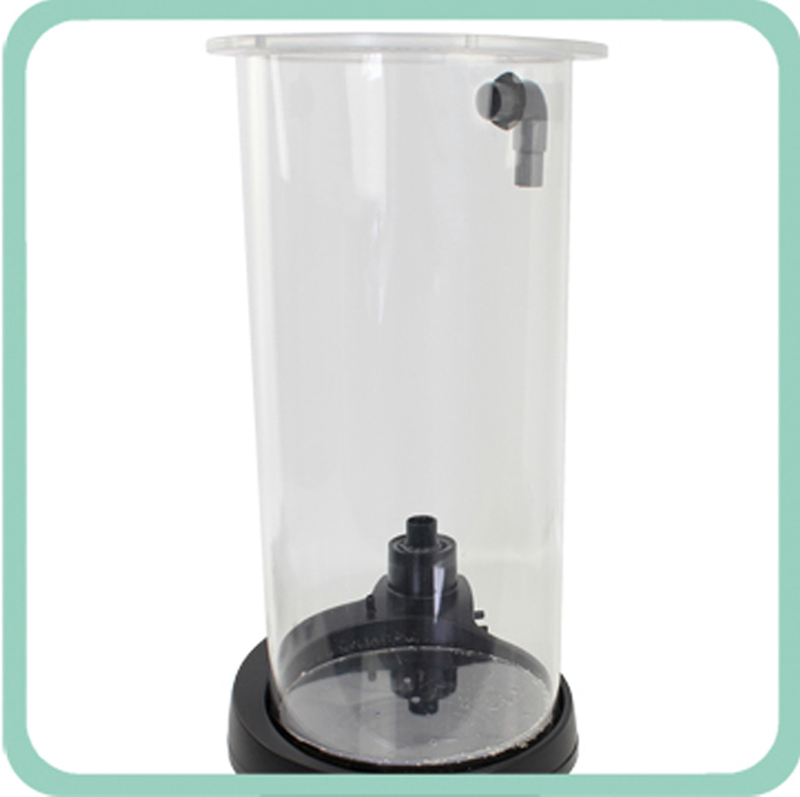 It is suitable for operation in the aquarium as well as in a cabinet filter. The Automatic Calcium Dispenser 3170 can be supplemented with a second reaction stage. A Comline housing is fitted with an additional granulate chamber. They can be placed next to each other and connected with a hose.